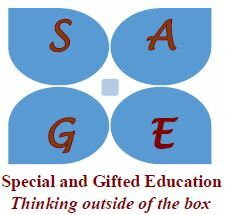 SAGE stands for Special and Gifted Education. The purpose of SAGE is to provide communication, resources, and support for teachers and families who have students enrolled in the W.I.N.G.S (Wylie’s Inquisitive and Naturally Gifted Students) and Special Education programs in Wylie ISD. SAGE also includes other programs for diverse learners in Wylie ISD. Currently, 1 in 5 students in WISD participate in one of these programs. Our first goal to is create a SAGE Chairperson on each local unit campus board. SAGE Chairs will offer support for educators, other PTA board members and parents. Please see the SAGE Campus Chair job description for more details. We would love to hear from our Parents what topics you want to learn about at the SAGE Expo Summer Camp and Resource Fair. Please use this link to take a quick survey to help us better understand your needs. Rock Your Socks for World Down Syndrome Day – March 21st For more information, read this flyer.